After years of missing out on Bodog poker, Canadians can now play on Bodog.Bodog have recently launched Bodog.ca, which is where poker players from Canada can go to play on Bodog. 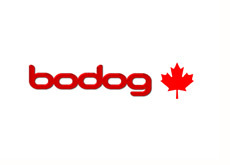 Bodog have been one of the top sites for Americans to poker on, so it seems only fair that Bodog finally open the doors to their niebours in Canada. Canadian players need to go to Bodog.ca in order to register on Bodog Canada. This is because Bodog.com are still unable to accept players from Canada. However, players who sign up through Bodog Canada will still be eligable to all the bonuses availble to their conter-parts across the border. Once Canadian Poker players have went to Bodog.ca and filled out the registration form they will be asked for Bodog referral Number. Using a referance number will usually give you an instant poker bonus once you deposit. Bodog also have a range off deposit bonuses available for Canadian Players, which includes the use of a credit card or UsemyBank. Both are easy to use. $20 is the minimum deposit for Bodog players from Canada. So if your from Canada and been looking to try out Bodog, this is your chance. Visit Bodog Canada and join today. This entry was posted on Thursday, September 3rd, 2009 at 5:51 pm and is filed under Poker News. You can follow any responses to this entry through the RSS 2.0 feed. You can leave a response, or trackback from your own site.